This vault door is mounted on a 2” channel iron frame. 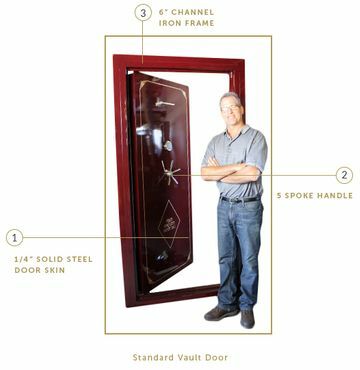 It comes with a 3/16” door skin and has a 2 3/16” overall door thickness. 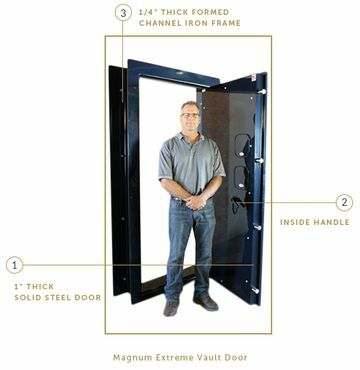 The door weighs in at 300 pounds and comes with 8 locking pins made from 13/16” round stock. 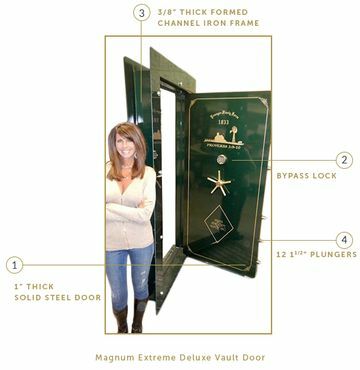 The Light Vault Door works great in a residential home when you want to secure a closet space. 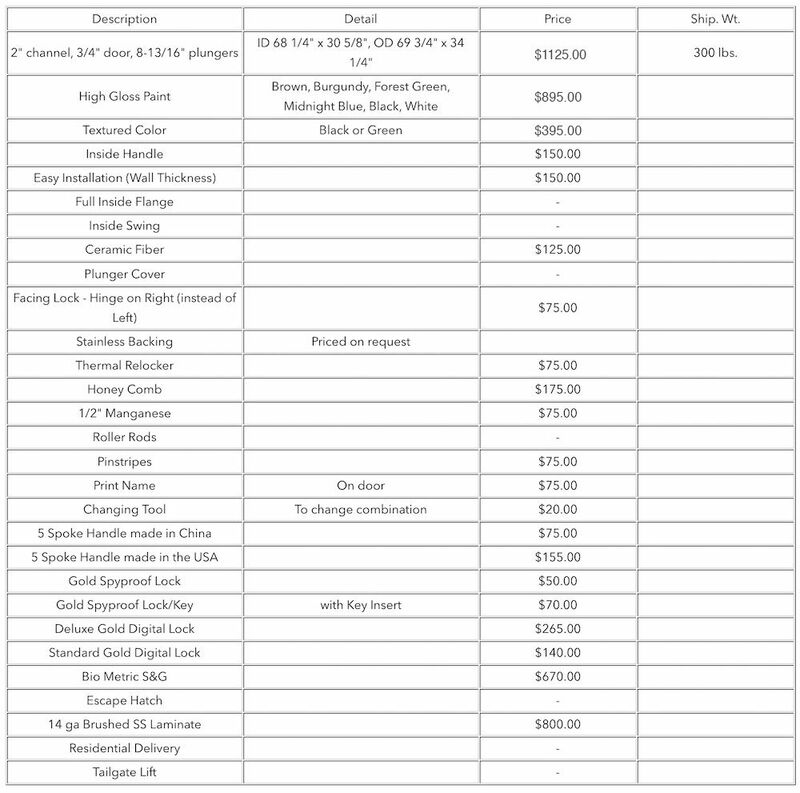 All I need are the measurements to make the door. 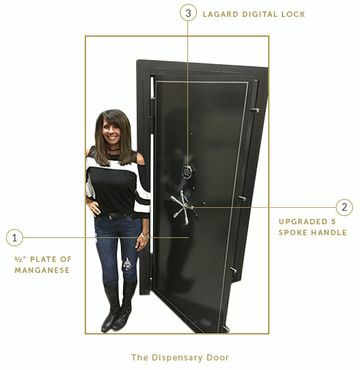 Then, you will simply remove the existing closet door and lag bolt my vault door into place. 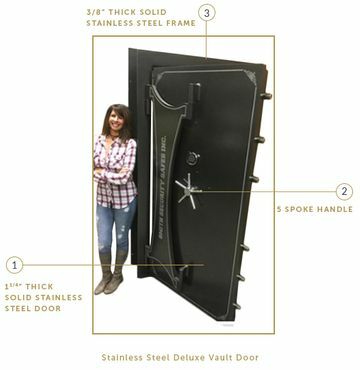 The Light Vault Door comes with a 3/16” door skin with an overall thickness of 2 3/16” and a 2” channel iron frame. 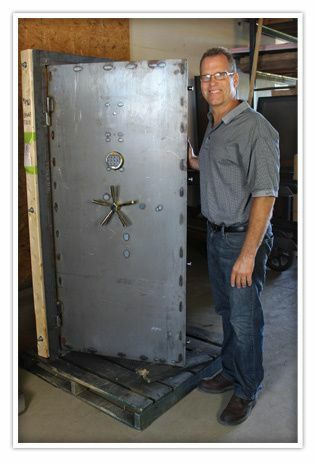 This vault door weighs in at around 300 lbs and has 8 13/16” locking pins on it. 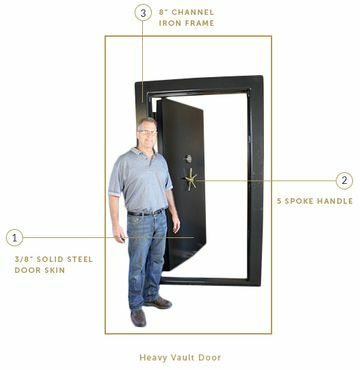 This door can be mounted to however thick your wall is with a minimum of 3.5”. This door is designed to replace a closet door. 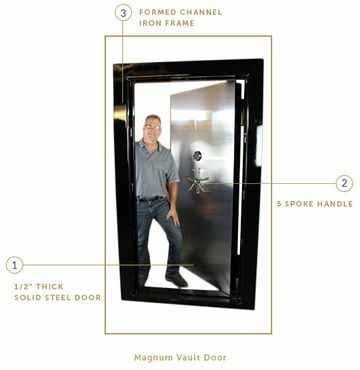 Just remove your existing door and slide this door in and lag bolt it in place. 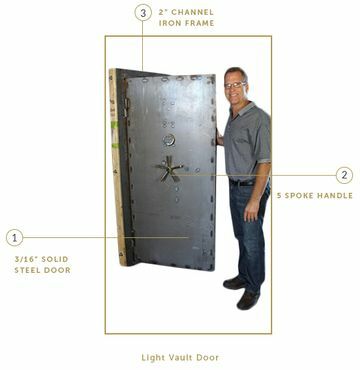 This door needs a rough opening of 70.75” x 35.25”, or just give me the measurements of your door way and we can take care of the rest.